The other night, the Edinburgh University Water of Life Society held its Annual General Meeting and final (formal) tasting of the academic year. Knowing we would all be on the brink of depression over the summer hiatus — for some of us, the forever hiatus as we leave Edinburgh — the committee selected a cracking line up of truly superb drams, each member getting one selection which made for an unthemed but nevertheless delicious tasting. 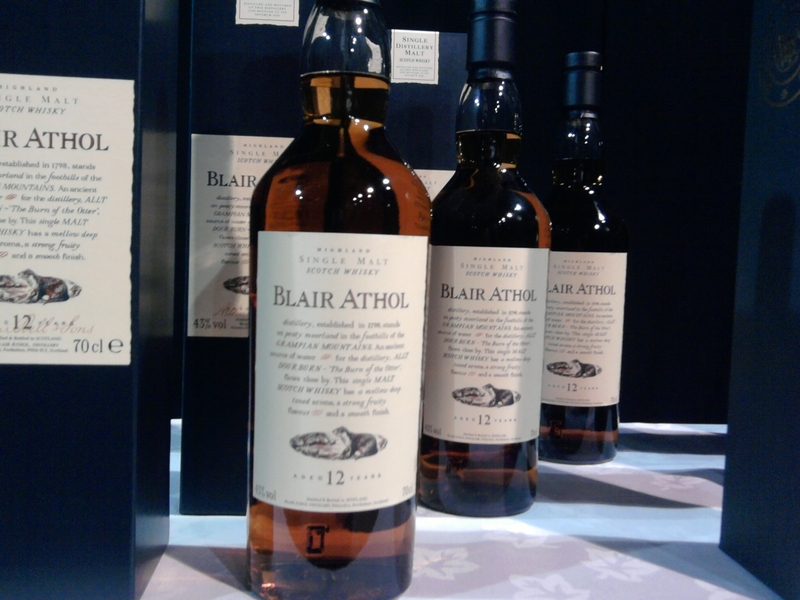 Balblair doesn’t do age statements, opting instead for vintages. This one was probably bottled in 2010 or 2011. Nose: Very light and subtle with both toffee and caramel, brown butter, hay. Deepened to include chocolate notes after some time. Palate: Incredibly smooth and balanced — nothing too complex here but still an enjoyable whisky to roll around a bit on the tongue. Finish: Like everything else, very subtle. A perfect starter dram to the evening. Nose: Lots of desserts here: caramel shortbread, sticky toffee pudding, some light marshmallow notes and something green I couldn’t put my finger on at first — perhaps watercress? Palate: Not quite as sweet as the nose would have me believe; mainly nutty and a bit leathery with, yes, a hint of watercress. Finish: Spicy, short, and satisfying. This was my favorite dram of the evening. One assumes that by Ord they mean Glen Ord…? Nose: The first thing I thought was, This smells like a granola bar! And indeed, there’s lots of toasted oats and honey. Palate: Spiciness hit me like a swarm of bees, but once that settled down I got dark plum with some bits of apricot and nice heavy oak. Adding a drop of three of water allowed the fruity notes to really blossom. Finish: I neglected to note the finish but from what I remember it was quite lengthy and rich. Nose: I didn’t get the name from the nose at all. To me it was a meadow of sun-warmed wildflowers, with hints of vanilla and some sea-saltiness. Palate: Here I did get some mustiness of old books and dark wood, but also lemon and rosemary, some other light fruits as well. Finish: Again, no notes, but it continued in the same fashion as the palate. The dram as a whole definitely improved in balance and depth with water. I recently had the 15 year old and found its older brother to be worlds apart in terms of nose and taste. I much prefer this one. Nose: Quite briny with a bit of cream soda and very light orange — almost Irn Bru-y, come to think of it. Palate: Lots of cherry and other dried fruit; some vague hints of cough syrup, but not unpleasant. Finish: Warm and slightly spicy. Nose: Smoke, brine, and gorse — very pleasant indeed. Palate: Quite peaty, naturally, with some oatcake and, oddly enough, green lentil. I also got some nice spearmint notes and plenty of oak. Finish: Still nicely smoky/peaty and not heavy. A really nice final dram to the evening. During the meeting we conducted business, like electing a new committee for next year, and also held an auction — timed towards the end of the night, as we were all quite steamin’ — for WaterAid. Although I’d have liked to pick up several of the lovely bottles up for auction (like the Wemyss Honey Harvest or a liter of The Dalmore 15 y.o. ), I had to think of luggage restrictions — and all the other bottles I have to take home in August — so I contented myself with one bottle of Compass Box’s Great King Street, a fantastic blend which seems to be rapidly growing in popularity. I’m trying not to think about leaving Edinburgh and WOLS, overwhelmed as I am with work, school, and wedding planning; but when it does cross my mind that there will be no more Thursday night meetings, no more silly banter, no more opportunities to taste amazing whiskies with awesome people at an insanely low price — I feel a little ache, one I’m certain will deepen over time. One of my biggest personal flaws is my inability to live in the moment, my tendency to feel nostalgic for things before they’ve even passed, but this time, I think it’s warranted. Thanks for an incredible year, WOLS. Slàinte!